Rivalries in sports play a key role in the performance, fan interest and interaction, success and reputation for teams all across the country. This is especially true throughout Major League Baseball. Based on those four criteria, mentioned above, I have ranked the five best rivalries in the MLB right now. Feel free to make your case to me if you don’t see one of your favorite teams included. The Atlanta Braves won the N.L. East for 11 consecutive seasons starting in 1995, when both the Mets and Phillies weren’t even in the conversation for a division title. However, since 2006, both of those pinstriped teams stole the spotlight away from Atlanta using a different type of tactic — hating each other’s guts. After the Pittsburgh Pirates left the division in 1993, the Phils looked to New York for a new rival. It was natural for them to carry on the rivalry that already existed between the Giants and Eagles in the NFL. 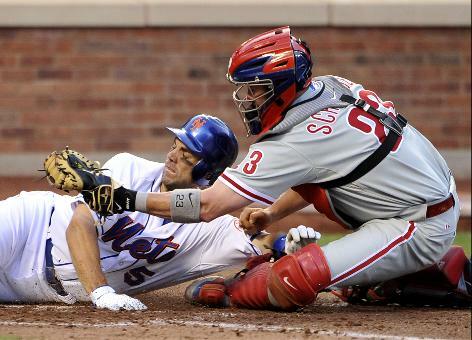 The highlight of this rivalry came in 2007 when the Mets experienced one of the worst collapses in MLB history, losing 12 of their lost 17 games of the regular season and virtually handing the division title to the Phillies. The Fightin’ Phils haven’t given up the title since. It’s the Subway Series, the battle for the Big Apple. The rivalry first began in 1963 when the Mets and Yankees played for the Mayor’s Trophy in an in-season exhibition game, before interleague play was created in 1997. Although the Yankees always seem to boast a more talented squad each year, the N.Y. rivalry is one that remains close. The Yankees have won 49 of 84 games against the Mets since the Mets’ inaugural season in 1962. The two teams met in the World Series in 2000, with the Yanks claiming the title in five games. During that series, Yankees pitcher Roger Clemens showed he had some beef with Mets catcher Mike Piazza, and it almost led to a benches-clearing brawl. Above all, the fight to be the best team in a city with the biggest spotlight and toughest media has been the main motive for both teams throughout their rivalry. The rivalry that exists between the Cards and Cubs is one that can be comparable to that of the Yanks-Sox, minus the blood and violence. The Cubs are winning the overall series as of now, but the Cardinals have the advantage because of their World Series championship last season – oh yeah, the Cubs haven’t won a championship in more than 100 years. A big moment in the rivalry was the ’98 McGwire-Sosa home run chase. The sluggers went back and forth with each other to beat the single-season home run record set by Roger Maris in 1961, culminating with the Big Mac defeating Slammin’ Sammy — yet another bragging opportunity for St. Louis fans. A rivalry that dates back to the 19th century when both teams played in New York, both of these franchises have hated each other literally from coast-to-coast. The teams have played each other over 2,300 times, with the Giants having the last laugh to this point after winning the World Series in 2010. In 1951, New York Giants outfielder Bobby Thompson hit the “shot heard ‘round the world” to beat the Brooklyn Dodgers and deliver the N.L. pennant. 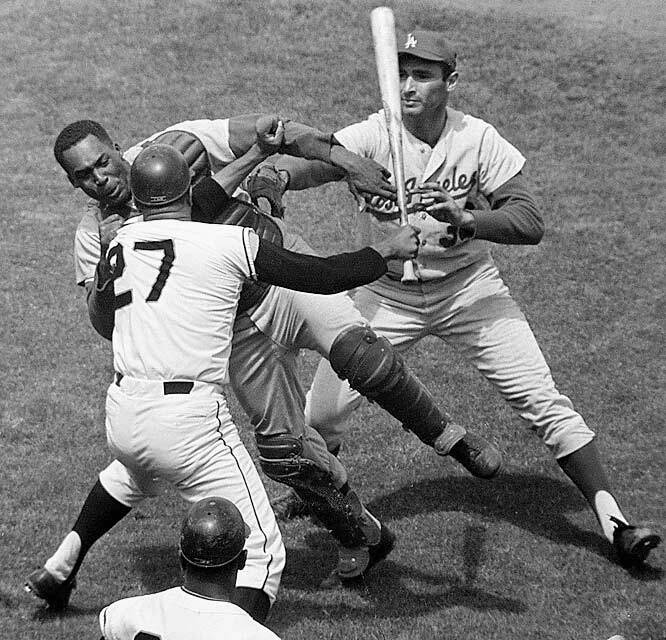 In 1965, Dodgers catcher Johnny Roseboro and the Giants’ Juan Marichal went at it, which resulted in Roseboro getting bashed on the head with Marichal’s bat three times. It required 14 stitches. The famous Jackie Robinson even refused a trade to the Giants in 1956 and chose to retire instead because he hated the idea of playing for his longtime rival. Did you have any doubt as to which teams would be No. 1? 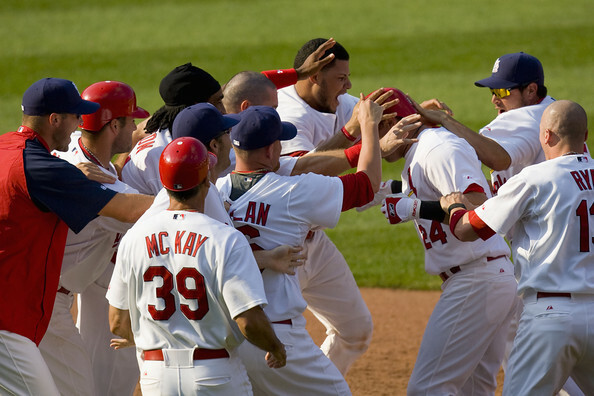 The rivalry is one of the oldest in MLB history, dating back to their first pennant race in 1904. The Red Sox sold their out-of-shape pitcher, Babe Ruth, to the Yankees in 1920, starting an 86-year World Series drought by the Bostonians while their rivals in the Bronx won 24 in that span. Any time these teams meet, and that’s pretty often, one can expect a brawl to break out at any moment. The players, a rookie or a vet, realize the situation and the bad blood that exist between the two teams. They know what they’re signing up for. There have been numerous benches-clearing brawls in their long history as well, most notably in the 2003 playoffs when the Sox’s Pedro Martinez threw Yankees bench coach Don Zimmer to the ground. That was one year before Boston came back in the ALCS, down three games to none, to defeat the Yankees and eventually win the world championship that season.